The rise of the smartphone, in particular the Apple iPhone, can be spotted quickly in a graph showing the origin of photos uploaded to Flickr over the years. In the beginning of 2010, the iPhone was responsible for less than 7% of the images posted on Flickr. For 2015, that figure has risen to more than 30%, putting Apple's iconic smartphone on the top of the list of the app's photo sources. The Apple iPhone 6 and Apple iPhone 5s were the most widely used cameras in 2015, according to Flickr. Besides those two models, other iPhones in Flickr's top ten for the year include the Apple iPhone 5, Apple iPhone 4s, Apple iPhone 4 and the Apple iPhone 6 Plus. The Apple iPhone 5c was eighth with the Canon EOS 5D Mark II just ahead of it. While the iPhone dominated the top ten, if you expand the list to the top 20 cameras employed by Flickr users this year, some Samsung devices start to appear. The manufacturer was responsible for 3.8% of photos uploaded to the app in 2015. The Samsung models that were listed in the top 20 include the Samsung Galaxy S4 (11th), Samsung Galaxy S5 (13th) and the Samsung Galaxy S III (19th). Canon cameras were responsible for 20% of Flickr uploads this year, down from a leading 37% in 2010. As smartphone cameras become more complex and give users more control over their photos, we should see these devices continue to make up more and more of Flickr's photographs. The shares belonging to point and shoot and DSLR cameras should continue to decline. iPhone's percentage is aided by the fact that they never had micro SD card support. I guess a lot of these users use flickr for image storage. Similar to google photos in android. Ye cause every day Joe is rushing home to get his mobile photos from his SD to the PC. You are confusing a small percentage of population called tech geeks with 99% of normal every day people who don't give a f**k about SD. My mom is 60, extremely non tech and she insisted her phone has an SD card. Seems like everyday people DO care. I've been trying for 2 years to get her to buy an iPhone just for the fact a simpleton can use it. She won't because it doesn't have an SD card slot. They only care because they think they need it. My mom is older than yours, if it wasn't for me she would be rocking a 2003 phone, literally, she bought 6 of them (same phone) at one point because she thought she would never own another phone. Her first phone had an sd card, I explained what it was. Then i got her going with the 930, she did the whole, "i don't need an sd card?" when i explained why she no longer needed it, explained that all her stuff is auto backed up online. And she got the concept, she now doesn't even ask or care about sd cards. However her new phone is coming in and will have an sd card slot, she will probably never even know it is there unless i say it. Because for her, her mentality is..."i am backed up". Two different old gals, two different mentalities, two different sons teaching their mother how to use tech. Not to mention in my job, sd cards die by the dozens, everyday...they are not the recommended storage solution for important info. I have been agreeing to your above posts. But this one makes less sense. If it was about backing up in PC then even iPhone photos could be backed up. It was about having more storage with SD card. It does, but lots of phones have great cameras today, some even better than the iPhone's. RIP Canon/Nikon, they are steadily and slowly falling down. And it also shows in their sale numbers. Long live mirrorless. The big 2 aren't going anywhere. Nikon alone sells more the every mirror less cameras combined. Canon sells more then Nikon. Interesting fact that Flickr app was released on iOS way before Android. And i remember after the release on android ,it was restricted to few countries so i couldn't get it from the play store. 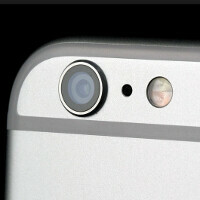 Few years ago Tim Cook stated that iphone had best camera because it is used the most on flickr. Well this has absolutely anything to do about real camera quality. This would have been a big deal 3-4 years ago. But now flickr is dying. Most photographers moved away from Flickr due to their photos being stolen. I've even had one of mine stolen and put in a kids book. So I guess the next story will be. "IPhone photos are the most stolen photos on Flickr!!" I'm probably in the minority, but I don't use my smartphone camera much. And I don't upload the photos anywhere. My wife uses hers a lot, but we back them up on a the PC. In other words, 70 percent were from people who hate Apple. So Apple is disliked metrically and you mean Apple only has 30 percent of the OS market.